Hro Abro, the director of the Regional Office for Agricultural Enhancement in Souss-Massa (dubbed Ormvasm in French), recently announced that the construction of the Chtouka seawater desalination plant has been underway since July. The work is being carried out by Aman El Baraka, a subsidiary of the Spanish group Abengoa. The PPP that funded the project is a model of its kind that was developed in advance by the French engineering office BRL Ingénierie and its Moroccan partner Agro Concept. Since July 18, 2018, the first shovels have been hitting the ground in the province of Chtouka-Aït Baha. It is at this site that Aman El Baraka, a subsidiary of the Spanish group Abengoa, has started the construction of a seawater desalination plant, as recently announced by Hro Abro, the director of the Regional Office for Agricultural Development in Souss-Massa (Ormvasm). The company will rely on Moroccan subcontractors, particularly for earthworks and civil engineering. The Chtouka seawater desalination plant is designed for a production capacity of 275,000 m3 per day, with a flow rate of 125,000 m3 per day. Two intakes from the ocean will bring seawater to the catchment area, from which it will be pumped, after pre-treatment, to the desalination plant. Here, the water will be treated using the reverse osmosis process. The technology is used by the French company Mascara Renewable Water for the Hessequa seawater desalination plant near Cape Town in South Africa. The same applies to a solar-powered desalination plant built by the French company Quadran in Caverne Bouteille, Mauritius. Aman El Baraka, concessionaire of the project, will build, operate and maintain the desalination plant over a period of 20 years. The first cubic metres of desalinated water will leave the station from 2020 onwards and will be used for irrigation given that the province of Chtouka-Aït Baha is very rural. Formed by large plains, the Souss-Massa region (including the province of Chtouka-Aït Baha) is renowned for its production of citrus fruits, primal fruits and vegetables; crops that require a lot of water, in an arid region marked by the advance of the desert. Agriculture has flourished in this part of Morocco, not only because of the relief and fertility of the soil, but also, and above all, because of the presence of a water table. The water from the groundwater is used to irrigate thousands of hectares of plantations and its overexploitation has now caused an annual deficit of 60 million m3 of water. It is therefore to remedy the situation that political and economic actors as well as farmers have decided to turn to seawater desalination. This follows a preliminary feasibility study carried out by the Department of Agriculture with the support of the Food and Agriculture Organization of the United Nations (FAO). 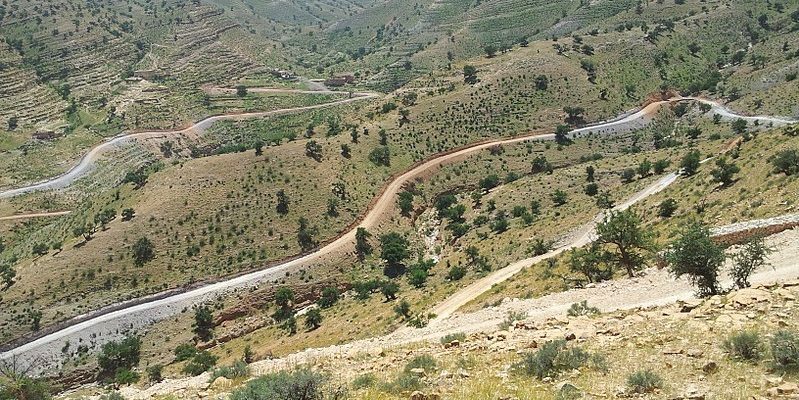 The study was followed by another, conducted by the Souss-Massa Watershed Agency. At an estimated total cost of 3.8 billion dirhams (more than 345 million euros), the water from the Chtouka seawater desalination plant will complement the supply from the Youssef Ibn Tachfine dam, also dedicated to irrigation. 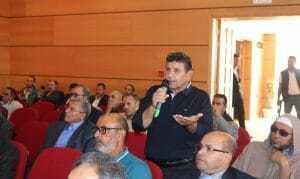 It remains to be seen whether these two infrastructures will allow the truly sustainable exploitation of the Souss-Massa groundwater table within 5 or 6 years. The stakes are high, since the groundwater provides very high quality water that recharges slowly. Today, the multitude of private drilling on farms, averaging about 15 hectares, pumps about 90 million cubic metres per year, while the groundwater only recharges 30 million cubic metres per year. The whole challenge of the project was therefore to convince farmers to pay for the supply of desalinated water and to agree to submit to quotas for the abstraction of water, apparently free of charge…. The French engineering firm BRL Ingénierie and its Moroccan partner Agro Concept, which established the PPP (public-private partnership) and attended the signing of the delegated management contract for the desalination unit, found the common denominator between farmers’ demand, Aman El Baraka’s offer and the involvement of the State, in order to develop a sustainable economic model over time. These two engineering offices first succeeded in demonstrating that between the cost of the drilling installation, its maintenance and the electricity consumed to operate it, the groundwater, apparently free of charge, already had an average cost of 3.5 dirhams per cubic metre. And that this cost would increase in the coming years as the groundwater level decreased. They were then able to negotiate a saltwater supply tariff of 5 dirhams per cubic metre, also made possible by a government grant that financed about half of the investments. The rest was mainly provided by the banks and the manufacturer’s own funds. However, a subscription campaign was launched with farmers to ensure their involvement from the outset. To facilitate communication and raise awareness, a website (very well done) has been put online (http://www.sauvonschtouka.ma). It also allows farmers to identify themselves and subscribe directly to the project. The success of the subscription operation was such that it made it possible to launch the work in July 2018. This bodes well for the future, as it allows farmers to take ownership of the project, demonstrate their commitment to the next cost of the levy and also ensure that future groundwater abstraction quotas are met, with well-accepted field controls. As Hassan Benabderrazik, Managing Director of Agro Concept and BRL Ingénierie partner, sums it up well, “It must not be the project of the State, nor of the private company, it must be everyone’s project, including farmers, so that everyone contributes, each to the best of their ability, to saving the groundwater, saving agriculture and thus perpetuating the prosperity of this region». For more information, BRL Ingénierie will have booth at Pollutec Maroc from 2 to 5 October 2018 in Casablanca.